← Why do successful investors chase yield? We need to talk about the biggest factor in any property transaction – money. Whether you are buying your first home, your last home or any in between or if you want to invest in property you need to understand and control your money or you are really going to struggle. Understanding money is not just about having a budget or considering investments it is learning about money attitudes and habits and discovering your strengths and weaknesses. 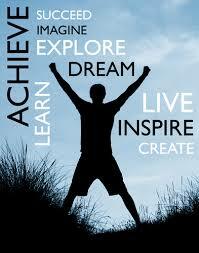 It is also about finding the goals that are personal to you and having an action plan to achieve them. So far in business I have kept a divide between my consulting work and my role in education but its time I invited my loyal clients and followers to take advantage of a special opportunity. (And no, I am definitely not trying to sell you anything). You see, I teach a government funded course for an organisation called Te Wananga o Aotearoa and it’s called the Certificate in Money Management. Any New Zealand resident can attend this free course which runs for 20 weeks. To have me as your teacher you will need to attend the class I run in Takapuna on a Tuesday evening from 6pm to 9pm but the same course is run in many parts of New Zealand. So why would you attend? If you learn about the management of money on a personal basis you are learning to take control of your future. The course will give you practical techniques and everyday action tips to ensure you are better able to create a gap between your income and your expenses. And then it shows you all the options for investing the money to help you reach the future freedom you desire. There is a complete module on property – from owning your own home to learning about leveraging to buy investment property. That’s the module I particularly love of course as I can share my advice and experiences to answer as many questions as possible. Places are genuinely filling quickly because students pay no fees for this amazing education so if you are interested in finding out more you need to call or email me now. The course in Takapuna starts on March 15th so you only have a few days to be able to enroll. Call me now on 0800 800 455 and find out more. My business is called Property Magic and I work exclusively with buyers as a buyer's adviser. Why buyers? Because I believe that buyers have the right to be treated fairly and honestly when they are looking for a house to buy. So check out my advice and let me know what you think. This entry was posted in House Buying, Property Investment and tagged buyers, buying a home, buying a house, buying houses, first home buyers, help to buy a house, house buying tips, how to buy a house, property investment, property investors, real estate. Bookmark the permalink.